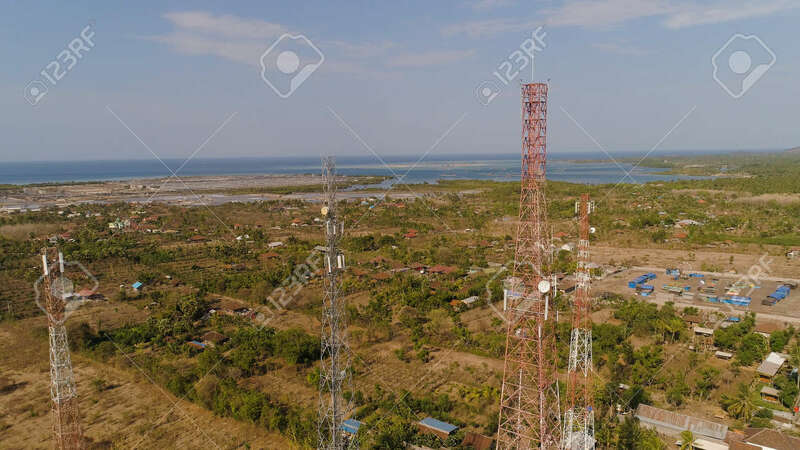 Aerial View Cell Phone Towers Line In Bali, Indonesia. Telecommunication Tower, Communication Antenna On Coast Sea Lizenzfreie Fotos, Bilder Und Stock Fotografie. Image 115258471.